1 p. 12mo. 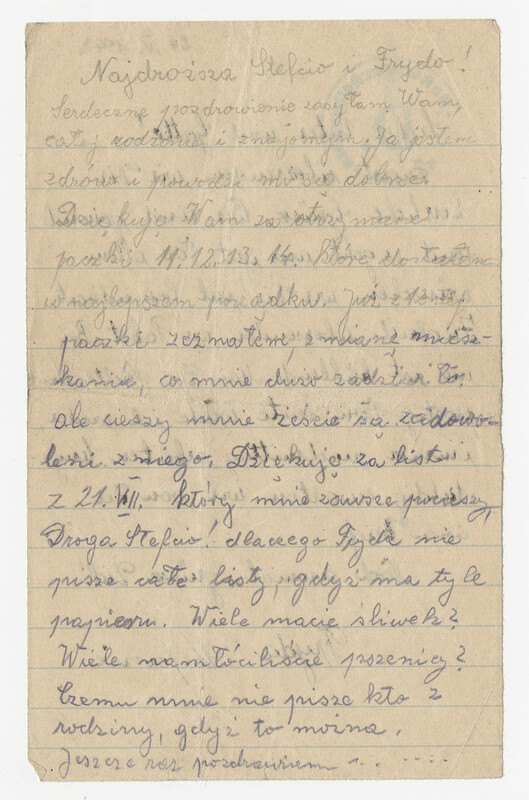 There is some writing in pencil in Polish on the reverse of these letters. It seems that these are drafts of letters from the prisoner (in response ?). 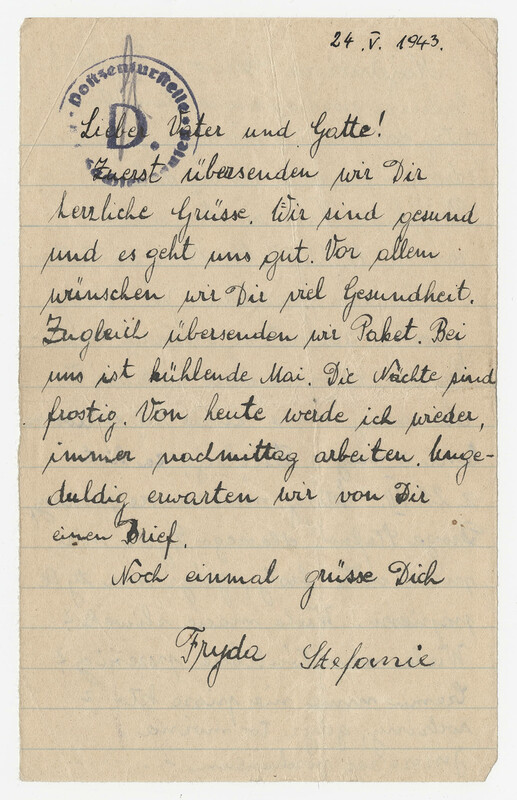 The envelopes are missing and the name of the prisoner is not mentioned but the existence of letters from Wrobel to Stefania and Fryda proves that the following letters were addressed to this prisoner. All the letters are on neutral ligned paper.